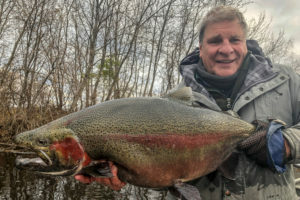 An early winter has greeted us here in the UP, frigid temps and snow! Seems as if we pretty much fast forwarded from November to mid December at this point. 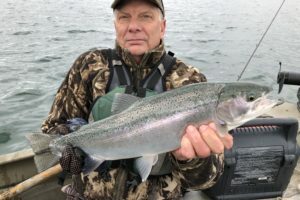 Regardless of the weather some good fishing has been available. 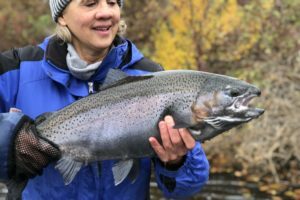 Steelhead, Brown Trout and Coho are present in rivers across the region. 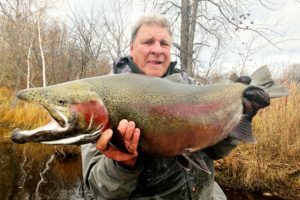 Some absolutely remarkable fish are around this fall, congrats to Marty on a certified 17 lb Steelhead -pictures below! 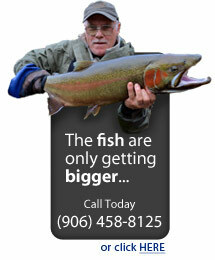 A trophy anywhere that Steelhead swim! 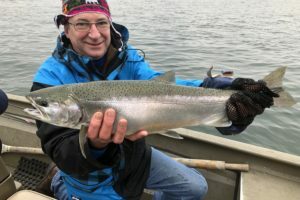 Congrats to rest of our recent guests as well on some phenomenal fish, quite a fall! 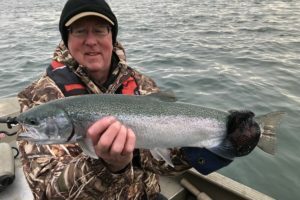 You are currently browsing the Rivers North Guide Service weblog archives for November, 2018.